You are certified, you have your card and you are ready to use it! Over 50% of divers never dive again after their first class. Of course 40% of people don’t believe 80% of the stats that are out there. Don’t be a 50%er!! You are a diver, get out there and dive!! We know life gets in the way of our diving so make sure you get out at least every 6 months with a pool dive. Call Dive Utah to find a time to come down and get wet in the pool. How many times has someone asked us, “Diving in Utah?” I’d tell you the number but you probably won't believe it. We are actually really lucky. With hot springs like the Crater, Seabase and Blue Lake we are lucky to be able to dive year round. 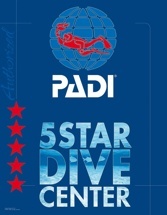 Add summer destinations like Sand Hollow, Bear Lake, Fish Lake and Flaming Gorge and we are a divers paradise!! Join us as we explore the sites around the state. Warm water, great vis, tons of fish life? I guess some people are into that… ARE YOU KIDDING ME? That’s why we do this thing! Jump on one of our trips and see what the world has to offer.